I think I have an obsession with Tiramisu; I can’t stop making it! This time I married it with cookies it’s my favorite version yet: Tiramisu Cookie Cups! Whelp, it’s that time of year again: TV dead time. All the shows are over. Every night Mel and I scroll through our non-existent DVR list and wonder what to watch. Shows like Scandal, Friday Night Lights, and Newsroom have ruined me because nothing we start to binge grips me like those shows did. What are you watching? I need advice, and it can’t be bloody (Mel can’t deal) or historical fiction (I can’t deal). “You mean Gilmore Girls? You want to watch Gilmore Girls with me?” I asked, shocked and awed. “Yeah, let’s do it,” he told me. Ladies, you know what they say about when you find your husband cleaning the house? Ain’t got nothing on when he is so bored of House Hunters that he offers to watch Gilmore Girls with you. Throughout the entire pilot, which I hadn’t watched in years, I came to realize that a lot of my parenting is based on Lorelai and Rory. Turns out that Mel thought the same thing because he kept looking at me and laughing. “Oh, so now I get why you want Jordan to be your BFF!” he chortled. And it’s true. A lot of what I learned about life and motherhood I learned from Lorelai Gilmore, including but not limited to my love of french fries and coffee. 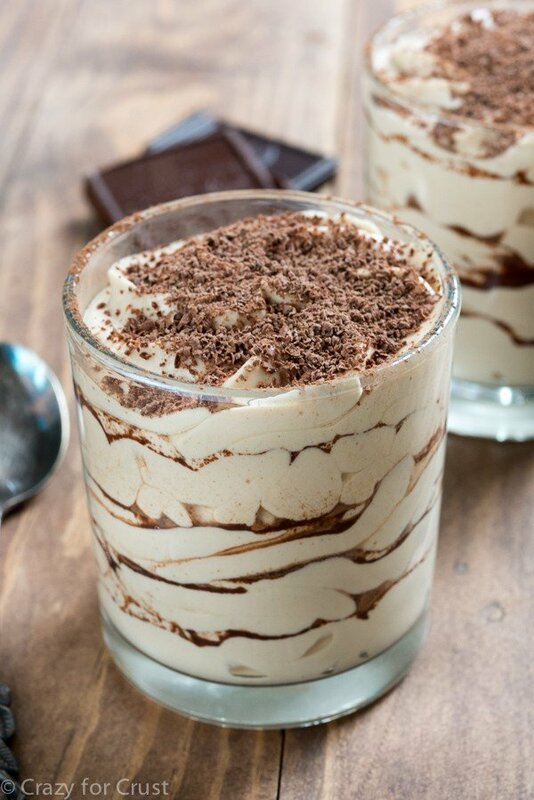 Remember back when I made Tiramisu Mousse? That stuff, man I ate it all in a sitting. Then recently I re-made my Tiramisu Cups and I still wasn’t done. I asked myself, what else could I use as a vessel for tiramisu? I’m not a huge fan of lady fingers, which is why I love the easy mousse and the cupcake cups in the first place. What else could be mixed with tiramisu? What could be molded to hold it? Hmmm…oh yeah. What about my favorite absolutely perfect sugar cookies?? I thought to myself, those will be PERFECT. 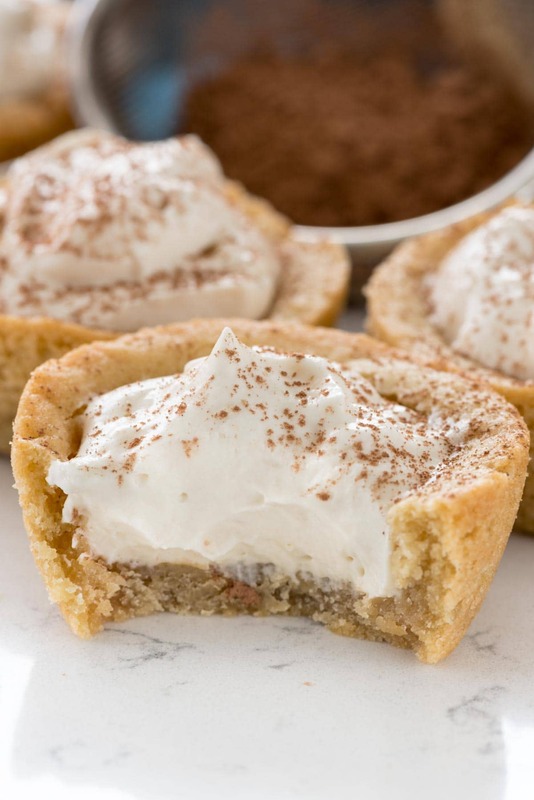 Mold them into a cupcake pan, fill them with tiramisu cream, and they’ll be the perfect bite-sized hand-held cookie version of tiramisu. These are so easy to make and they’re ready in a flash. My favorite sugar cookie recipe is perfect in these cookie cups. I used a regular size cupcake pan and pressed the dough into each cavity. No need to use liners, but you can if you want an easier clean up. The cookies puff as you bake them, so they don’t have to be pressed into the perfect cup shape. 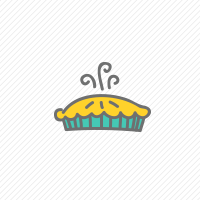 While they’re hot, press down on them with a shot glass or something similar sized to form the cup. The tiramisu is made with easy to find ingredients and fills up the cookie cup easily. Feel free to go heavier or lighter on the coffee, depending on your preference level. 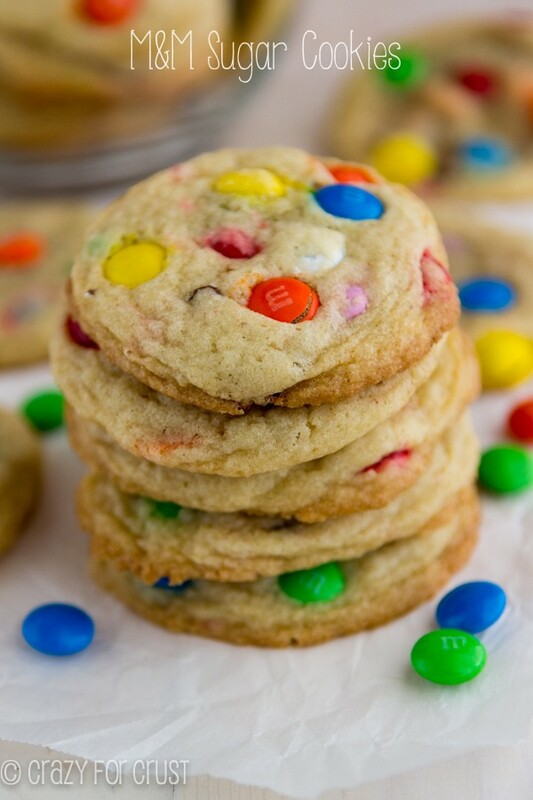 And if you want to make these even easier, use a store-bought sugar cookie dough instead of my recipe! 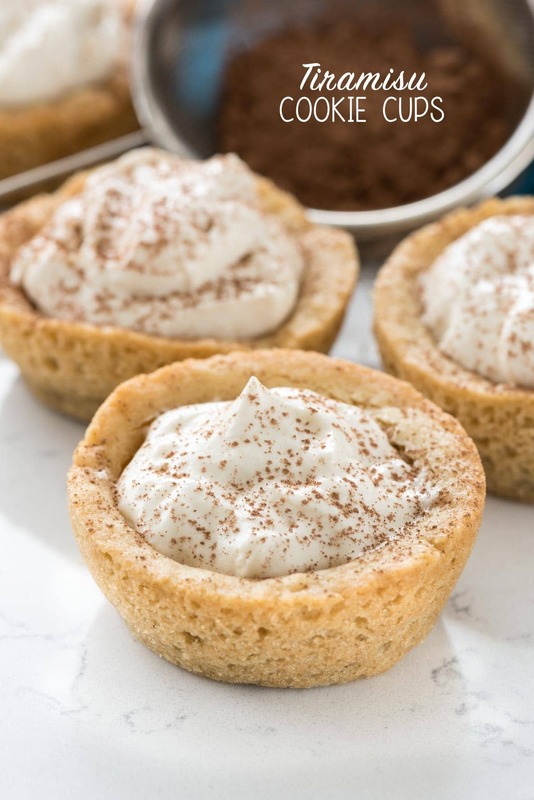 Tiramisu Cookie Cups - the perfect way to eat tiramisu! Fill easy sugar cookie cups with my favorite tiramisu mousse recipe for a great dessert. Preheat oven to 350°F. Spray muffin pans with nonstick cooking spray (I like using the kind with flour in it). Make the cookies: Cream butter and sugar in the bowl of a stand mixer fitted with the paddle attachment. Beat in egg and both extracts. (Almond extract is optional, but adds amazing flavor!) Mix in baking soda, cream of tartar, and salt. Slowly mix in flour. Place 2 tablespoon balls of dough into each muffin cup. Press the dough flat along the bottom and halfway up the sides of the muffin cup. It doesn’t need to be perfect because they’ll rise and you’ll need to reform them after baking. Bake for 8-10 minutes until they’re just turning golden brown (they taste better if you err on the side of under done). When they’re hot from the oven, use the back of a glass (a shot glass or small juice glass is perfect) to press down in the center to re-form the cup shape. Spray the glass first with nonstick cooking spray to ensure it won’t stick. Let the cups cool, then remove from the pans (with the help of a butter knife, if needed). Beat cream cheese until smooth with a hand mixer. Slowly beat in powdered sugar, salt and vanilla until smooth and creamy. Add coffee to taste and stir, then fold in the Cool Whip. Spoon about 1 1/2 to 2 tablespoons of filling per cooled cookie cup. Dust with cocoa and serve. Store loosely covered in the refrigerator for up to 3 days. Cups may be frozen for up to one month before filling. Aww love gilmore girls, I recently rewatched the whole series on netflix. So darn good. Mistresses is coming back and it was good, you should watch that! And girrrl don’t even get me started on my tiramisu addiction its so bad, one of my local restaurants serves an amazing one and yes I order it every time! 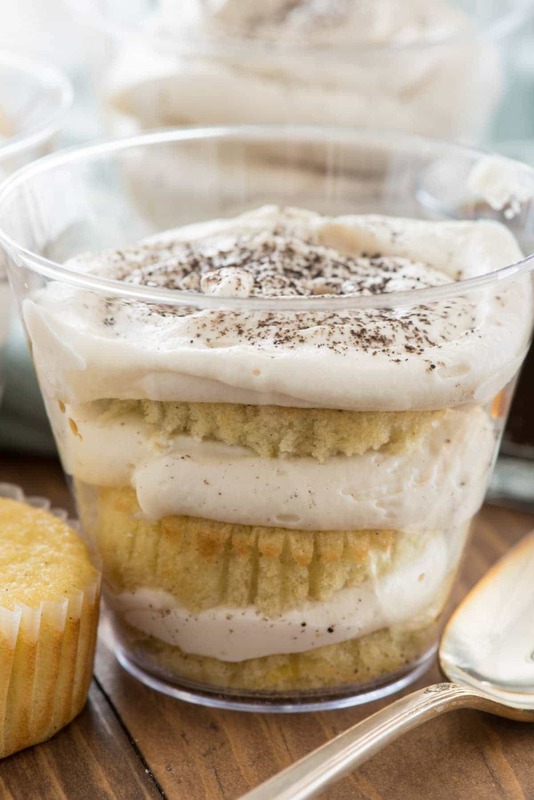 Love the combination of a cookie cup tiramisu! I can’t wait for the GG Netflix revival!! Man, I can never get Kenny to watch GG with me. He says all they do is talk nonstop. Which is true, but it’s such GOOD talking. I don’t know why, but I can’t stop watching Entourage. I’m like 12 years late to the party, though, so maybe you’ve seen it. And they just loaded another season of Veep onto Prime, so that’s also fun! These cookie cups. Wow. Just so good. That filling looks crazy addictive! I need to check out Entourage. And good to know about Veep! I loved that show, the first season when it was free on prime. My issue with tiramisu has always been that it is too mushy – not enough texture contrast. This recipe actually seems like the perfect solution! Hubby and I are having that same empty DVR feeling. Alas thank goodness the Bachelorette starts up tonight. I really do miss GG too and I may have to finally get Netflix just for Gilmore Girls Seasons. These cups look amazing, may just have to make them for an upcoming party. I think I’m going to try Bachelorette. I’ve never watched it before! These look amazing friend. And so easy to make. I will be making these at my next girl’s night out. Love them. Scheduled to share on FB because who wouldn’t want to make these. Pinned & yummed. I’m trying these this weekend. I’m changing it a little though. Adding marscapone to whipped cream. Hi! I love GG just watched the series on Netflix…. I love the idea of the sugar cookie can’t wait to make these. They look amazing! How much in advance can they be made? They’ll last a day or two in the fridge but you can make the cookie cups without the filling up to a month in advance and freeze them. Oh no just when i was trying to get off the sweets i bump onto your article :)..Now i will have to try this..Thanks for sharing this Dorothy ! !